When building your B2B marketing plan, one of the biggest and most important elements is incorporating content into that plan. For years people have often been using the terms "Content is King" or "The year of content." This hasn't changed. In fact, marketing today has made it more and more easy to find a large collection of content through various marketing means. You can access Pinterest now for visual imagery and even top statistics in visual layouts. Places like Facebook and Corporate Blogs post eBooks and whitepapers that speak directly to your needs. And let's not forget the ability to re-tweet, share, and post valuable content that you find on other sites. So where do you go when you are starting to build your own B2B content library. 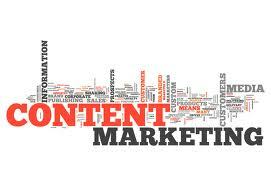 And more importantly, how can you assure YOUR content will make an impact. First, it is important to understand who you are speaking to and what they would like to read. You can create 5,000 pieces of content but if they don't speak to your target consumer and provide relevant information to them, you will be wasting your time. For example, I could easily write a blog about ice cream, and all the different flavors that I love. In fact, I would be thrilled to hold my own "ice cream taste test" daily and tell you all about how much more delicious Ben & Jerry's newest Greek yogurt tastes as compared to their frozen yogurt. But that isn't why you're here. Aside from the extra pounds and delicious evening snacks, I would be gaining nothing from sharing that information with you. That is why it is important that you build your content strategy around your target persons and what speaks to them and their business. Build great content and in turn generate more leads. It's as easy as that! What do we know? Are we subject matter experts in any areas that our target consumers are interested in? If so, what can we tell them that will help them be more successful at their job? What can we give? No, I don't mean a product or a giveaway. This is more in line with what kind of B2B expertise can we give away. Examples may include a consultation, an education seminar or webinar, how-to checklists, worksheets, etc. What can we share? Do we have partnerships, blogs that we follow, or additional content outside of our own library that will resonate with our audience? What can we share with them that will continue to further their knowledge and education? Who are we and what are we saying? If you find the content you are putting together is boring or dry, chances are your audience will feel the same way. Be sure to instill humor in your message. When writing blogs, include a personality. Even if you don't agree with my love for ice cream, you know a little more about me as a person and not just as a marketer. Have fun with the boring stuff, it will make it (and you) more interesting. What resources can we access for spicing it up? Great content is always better showcased when it is crisp and easy to view. Even if you don't have a design department, you can still create excellent marketing content that is both sharp and dynamic. There are plenty of great no-cost resources out there that will help you jump start your efforts. For example, infogr.am is a company that offers free infographic templates. All you do is plug in your content and BOOM! You have yourself a great looking piece of content to go to market with. Once you answer these questions, you are well on your way to developing content that will speak to your audience through your core strengths.